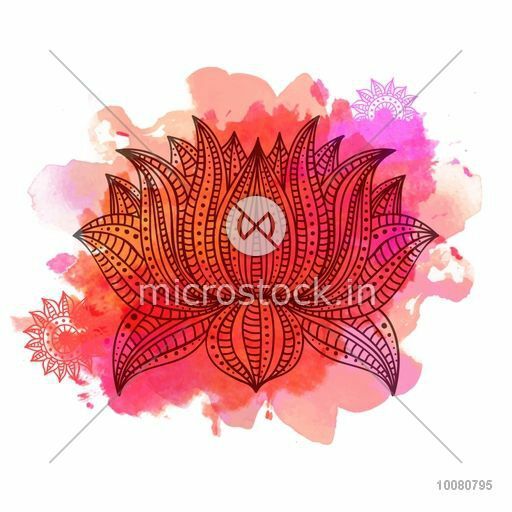 Beautiful ornamental Boho style Lotus flower on colorful splash background. Creative hand drawn illustration in doodle style. Can be used as greeting card or Invitation card design.